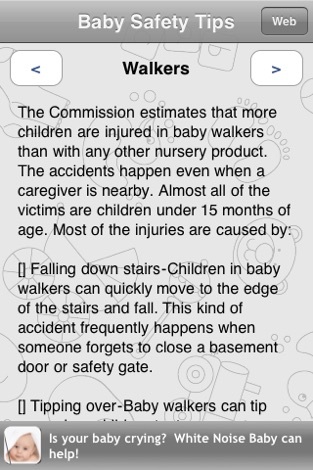 Adjusted scrolling window to improve readability. Fixed issue with pressing and dismissing the web view too quickly. 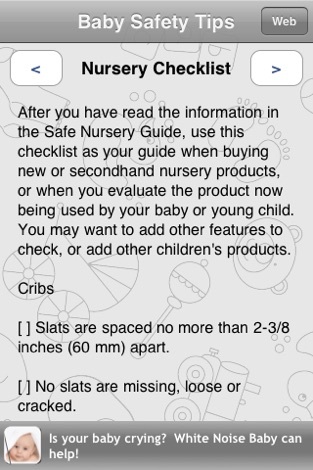 Important safety information for cribs, toys, bathing aids, baby gates, high chairs, playpens, rattles, squeeze toys, teethers, toy chests, walkers, and others. 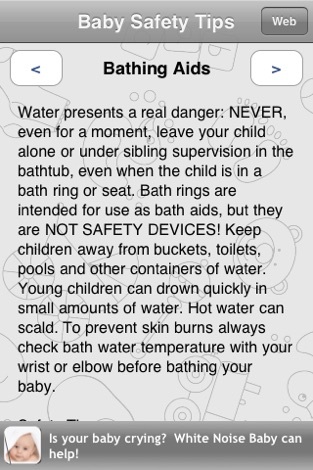 Safety information provided by the US Consumer Product Safety Commission and formatted for viewing on the iPhone and iPod touch. It's Mahjong... in a flash! Mahjong Blitz challenges you to clear small Mahjong layouts in a short amount of time. Fifty-four Mahjong Blitz challenges await you. How fast can you match? It's the perfect game to play while you're waiting on the bus, or in a doctor's office, or anything else where you only have a few minutes to kill!